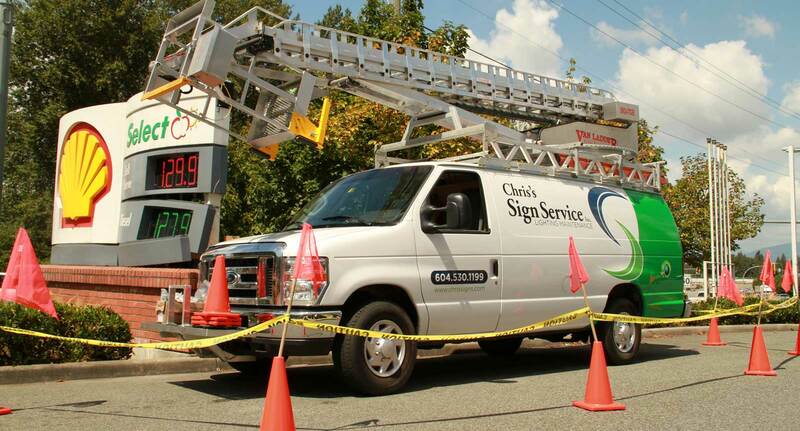 Chris’s Sign Services Inc. provides complete sign manufacturing, service & 24/7 maintenance on a local, to a wide range of clientele in areas such as: Aldergrove, Abbotsford, Burnaby, Coquitlam, Delta, Langley, Surrey, Richmond, Vancouver and the rest of the Lower Mainland. We are proud of the reputation we have built with clients large and small. Chris’s signs provides state of the art in-house design, and manufacturing which ensures sign solutions exceed the creative requirements while conforming to local by-laws and engineering specifications for your market.